Gear design was changed to improve durability. The AX-12A Gear Set (SKU No. 902-0087-001) will not be compatible with former AX-12+ Gear Set (SKU No. 903-0087-000). 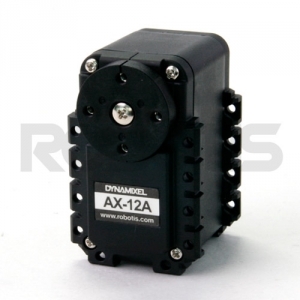 AX-12A is a new version of the AX-12+ with the same performance, but more advanced external design. It is 100% compatible with AX-12+ at 1:1 scale, with the same control method.